If art and science have one thing in common, it’s a hunger for the new—new ideas and innovations, new ways of seeing and depicting the world. But that desire for novelty carries with it a fundamental philosophical problem: If everything has to come from something, how can anything truly new emerge? Is novelty even possible? 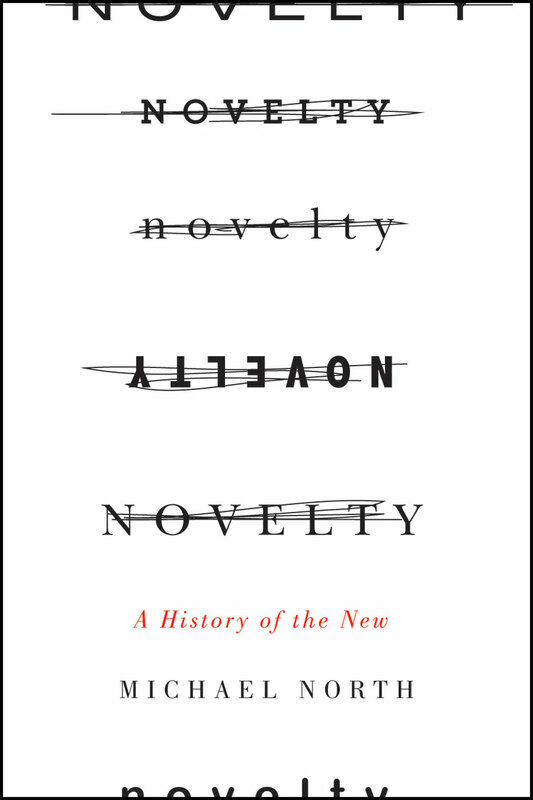 In Novelty, Michael North takes us on a dazzling tour of more than two millennia of thinking about the problem of the new, from the puzzles of the pre-Socratics all the way up to the art world of the 1960s and ’70s. The terms of the debate, North shows, were established before Plato, and have changed very little since: novelty, philosophers argued, could only arise from either recurrence or recombination. The former, found in nature’s cycles of renewal, and the latter, seen most clearly in the workings of language, between them have accounted for nearly all the ways in which novelty has been conceived in Western history, taking in reformation, renaissance, invention, revolution, and even evolution. As he pursues this idea through centuries and across disciplines, North exhibits astonishing range, drawing on figures as diverse as Charles Darwin and Robert Smithson, Thomas Kuhn and Ezra Pound, Norbert Wiener and Andy Warhol, all of whom offer different ways of grappling with the idea of originality. Novelty, North demonstrates, remains a central problem of contemporary science and literature—an ever-receding target that, in its complexity and evasiveness, continues to inspire and propel the modern. A heady, ambitious intellectual feast, Novelty is rich with insight, a masterpiece of perceptive synthesis. "Witty, sophisticated, and sharply written, Michael North’s Novelty: A History of the New tackles the oxymorons lurking in the subtitle with gusto and a wide scope of learning, ranging from the classical Greeks to Modernist writers like Pound to the art criticism of the 1960s and 1970s. In exploring the multiple valences and models of the new, North accomplishes that most elusive of achievements: explaining how something can at once be new and old, recurrent and unexpected. Highly recommended not just for academics but for the general reader as well." "In this ambitious and admirable book, Michael North invites us to look anew at the very idea of the new. Ranging across philosophy, science, and art, he teases out the recurring patterns that shape our sense of how newness comes into the world. Under the pressure of North’s sharp gaze and remarkably lucid prose, novelty turns out to be more familiar and yet more surprising than we had known it to be. This is a major contribution to intellectual history."